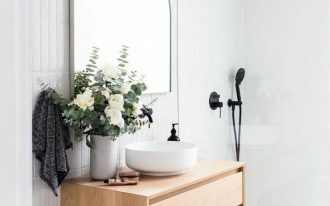 In the bathroom, there are many items that you can pick, from tub/shower, toilet, to the tiles and decorative features in the bathroom. 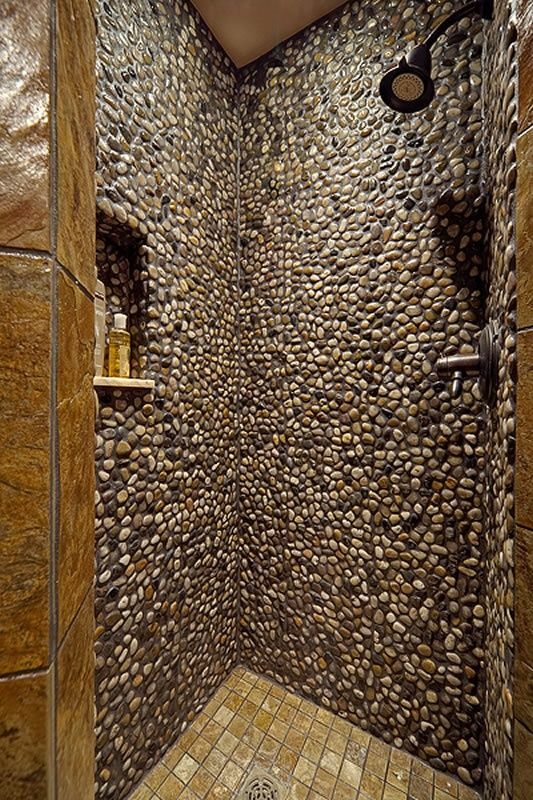 And here now we would talk about natural decorative features that makes bathroom even refreshing and cool: pebbles. 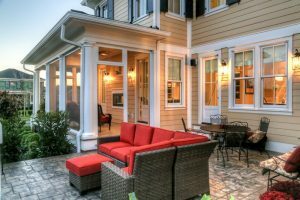 As there are many ways you an use pebbles in decoration, here below are some inspiring examples that you will fall in love with. 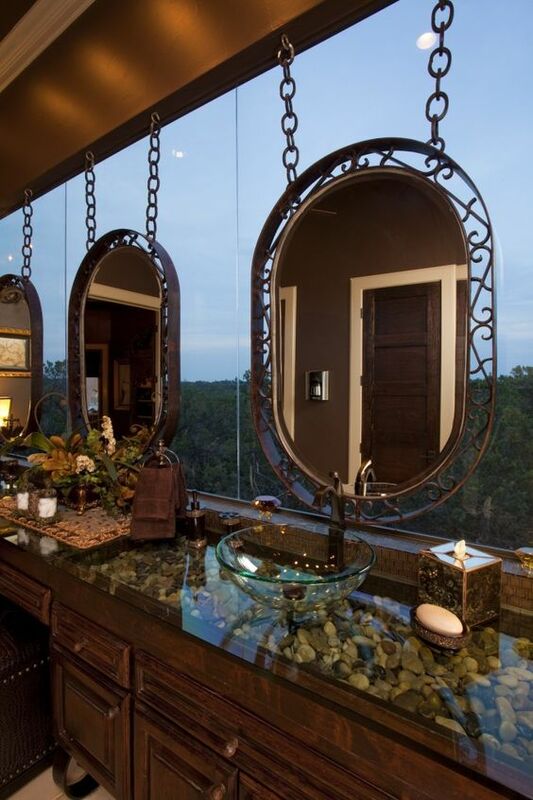 One of the beautiful tricks to do with pebbles is putting it under the glass vanity so that it will visible but not touchable. Seen in this one is a beautiful sample of how you should do it. 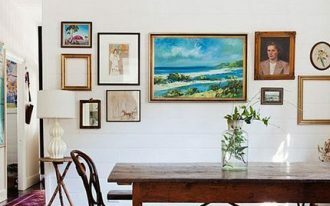 This adds textures and dimension to the room without making it cluttered. 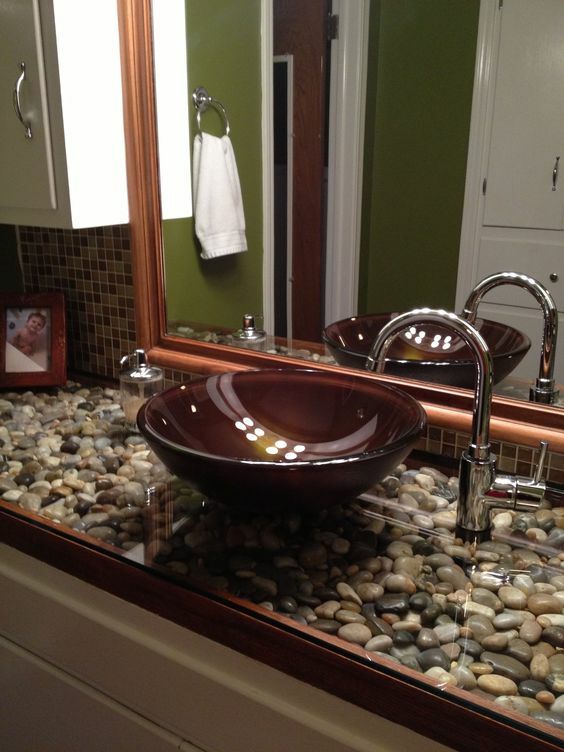 Similar to the previous one, this one also displays beautiful pebbles on the vanity under the clear glass top. 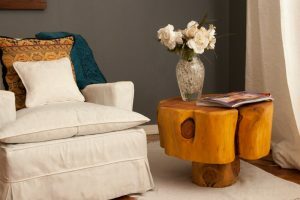 Along with wooden cabinet and framed mirror with rustic look, this set is a beauty. 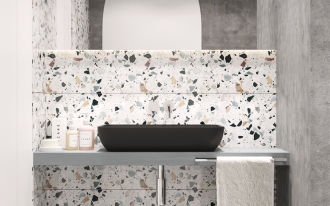 The clear sink does not add more layer but it allows pebbles to shine more. 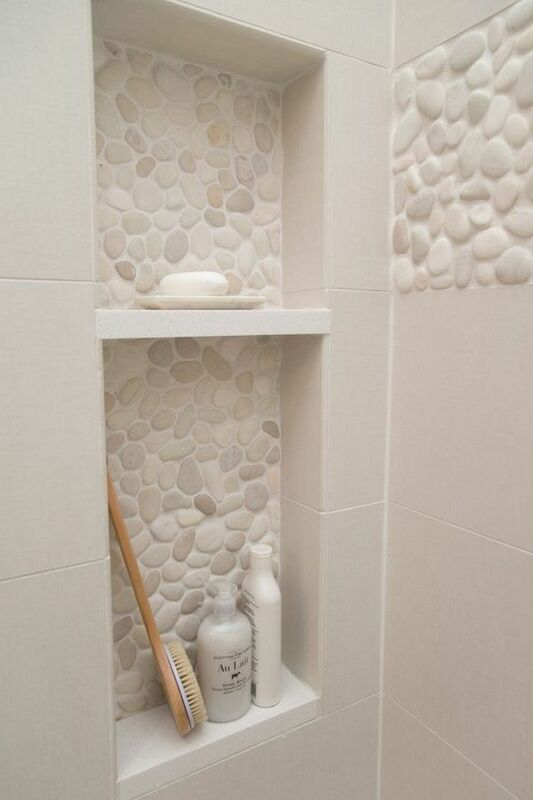 If you want to treat pebbles as the little accent in the bathroom, you can do it like this one here. Putting it inside the shampoo niches to give more textures and dimension to the corner. If you want to show much more of white pebbles, you will love to see this one here. 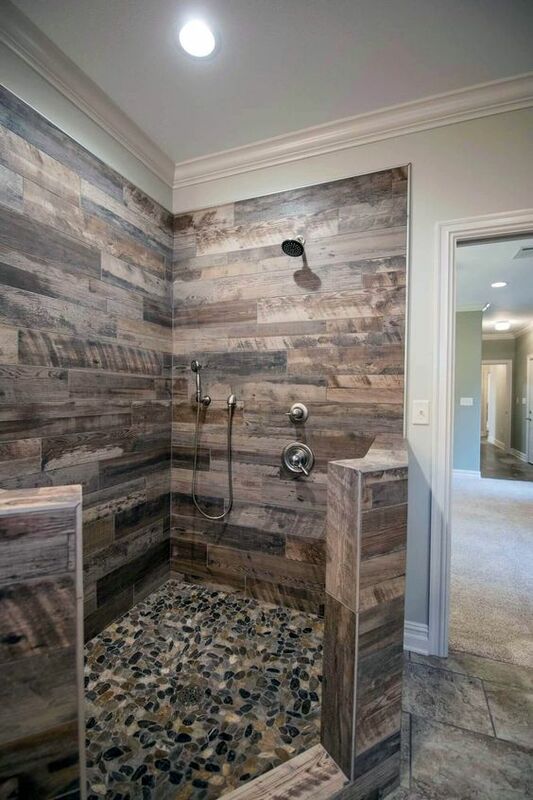 Installed on the floor and wall, it looks beautiful and refreshing. The warmth and natural feeling are strongly pronounced from this one. While the previous one is still a little bit on the subtle side, this one here is stronger and have rougher textures. Although to some people this might look too much, it can’t be denied that this gives an interesting ambiance. If the previous one looks too much, this one here is probably what you prefer more. 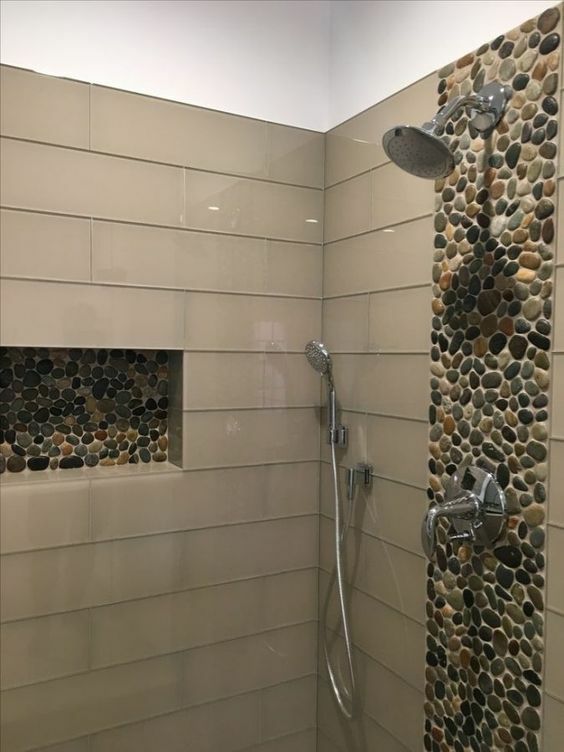 With pebbles in straight line with the shower, this one gives a strong yet enough touch of the natural pebbles. Putting it inside the shampoo niche also makes it more interesting. Similar to the previous one, this one here also uses pebbles as an interesting accent. However, while it is used in the wall in the previous one, in this one it is used as a pathway on the floor. 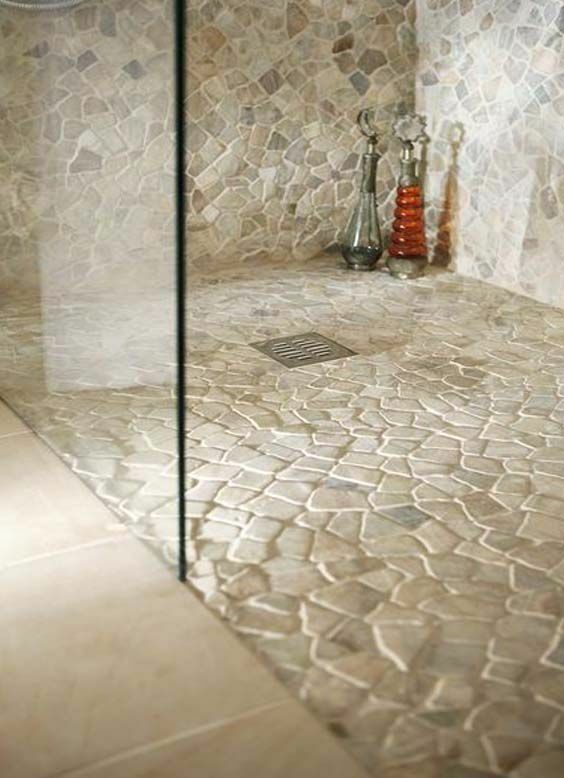 As interesting as it is on the wall, pebbles also look great on the floor. 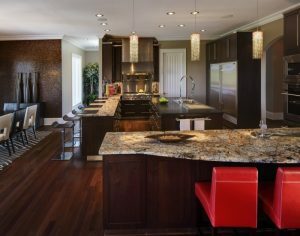 And with its textures, it can help adding more friction to the floor so that people will not trip nor slip. 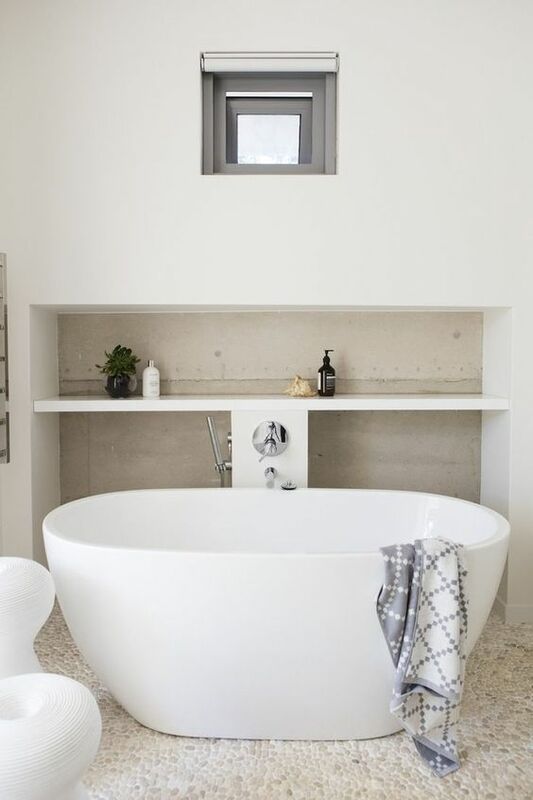 In this picture, the beauty of the bathroom is laid especially on the white pebbles cemented on the floor and the sleek and neat white tub in the middle. 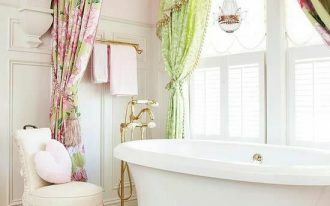 And this has made this bathroom looks fresh and natural. 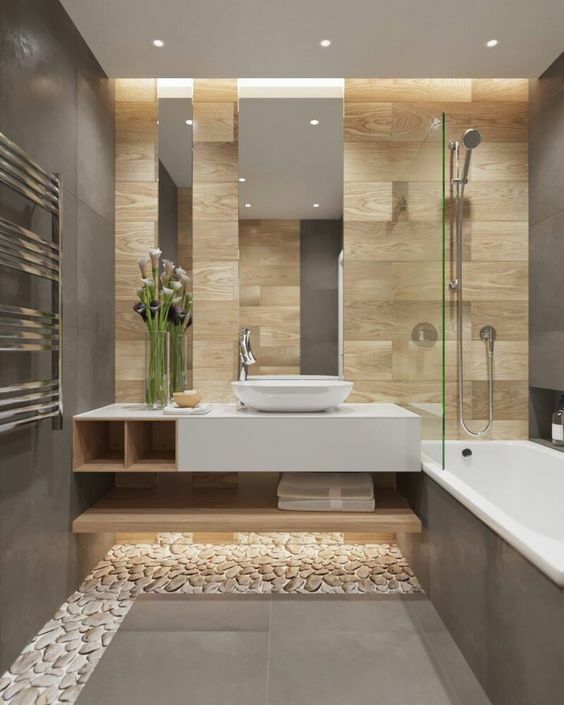 In this beautiful bathroom surrounded with natural stone from marble to pebbles, bath time must be really amazing. 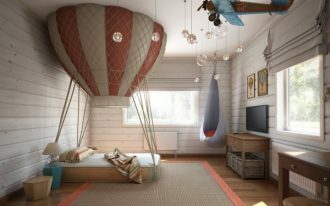 The floating wooden shelves are a great line too it does not look like shelves. 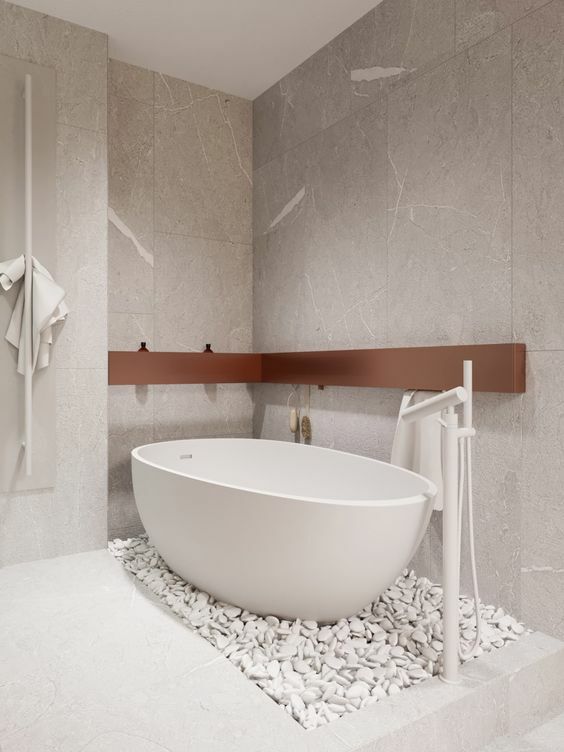 The pebbles, not cemented on the floor, are a great touch between the marble and tub.